If it were only that easy! As an associate curator at the Smithsonian's National Museum of American History, people often ask me how we acquire objects for the museum's collections. Do people offer items, do we buy things, do people drop objects off at the museum, or do we actively pursue certain objects? The answer is yes to all four—sometimes it is easier when contacting specific people to request specific objects and sometimes it is more difficult when having to go through many different channels to get your request heard. Now that the 2016 Olympics are over, my job is to decide who to contact and what to ask for. When it comes to collecting objects from the Olympic Games the choices can be somewhat easy—gold medal winners, record breakers, and athletes connected to history-making "firsts" are obvious choices. We might also collect from those who have not won gold but who have inspiring or interesting stories. Volunteers, officials, or those who have attended the games as fans and want to share a part of their history with the nation offer objects that allow us to tell the Olympic story from other angles. The Summer Olympics are well represented in the museum's sports collection, which dates back to the first modern games of 1896 and includes something from almost every Olympic Games up to the London Games of 2012. These objects tell stories from athletes, officials, coaches, teams, volunteers, and spectators who have been touched by the Olympics in some way. They also speak of the games themselves and the history that surrounds each one—some more than others. A Greek amphora dating from 510 B.C. is our collection's oldest object. It was used as the model for theSports Illustrated Sportsman of the Year trophy, which has been awarded since 1954. The first modern Olympic Games were the 1896 Athens Games, and those games are represented in our collection by a participation medal that all athletes who participate in the games receive, a tradition that remains today. 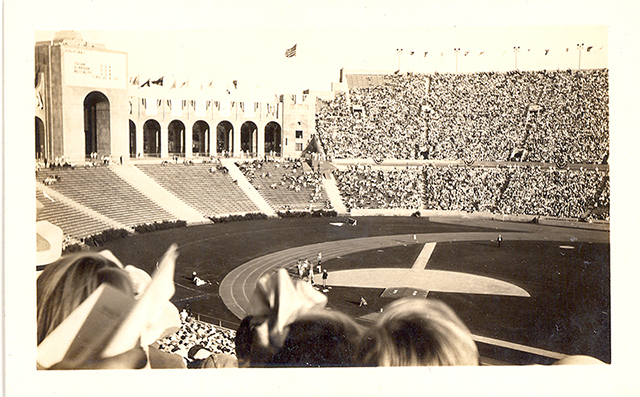 A collection of objects from the 1932 Los Angeles Games came from a person who attended the games as a spectator. A photo album documenting events is a rare find and accompanies tickets, programs, souvenirs, and maps that the donor picked up while at the games. Two large archival collections from the 2004 Athens Games and the 2012 London Games were collected from a spectator and a volunteer. These include maps, tickets, programs, metro cards, phone cards, souvenir flags, and all types of official documentation given out and sold at the Olympic Games. Viewing the Olympics through this lens gives a different perspective of the games, but one that many of us can understand—the experience of the audience at sporting events. The 1984 Los Angeles Games are documented through a collection of official posters, cards, and flashlights used during the opening ceremonies by people in the stands, and a hostess uniform worn by the donor to greet athletes and spectators alike and guide them through the different Olympic venues. Another story from the 1984 games is told through the donation of an Olympic torch and the outfit worn by one of the torch relay runners. Entire teams are represented in the collection, with autographed balls and jerseys including those from the 2012 Team USA women's gold medal soccer team, both 2012 Team USA men's and women's gold medal basketball teams, the 2004 Team USA women's gold medal softball team, and 2008 Team USA men's wheelchair rugby gold medal team. These objects are best used to represent an entire team. Although we do have individual athlete's team objects, such as Mia Hamm's Team USA women's soccer jersey from the 1996 Atlanta Games—it is sometimes easier to tell a team story through a team-represented object. Collecting objects from Olympic Games made famous for the historical events surrounding them is important, but often difficult due to a lack of objects or an unwillingness of people to donate such rare and important pieces of history. The only objects in the sports collection from the 1936 Berlin Games, also known as the Nazi Olympics, are a canoe paddle from the coach of the Olympic canoeing team and some black-and-white postcards featuring track and field star Babe Didrikson. The 1980 Moscow Summer Games that Team USA boycotted because of the Soviet Union's invasion of Afghanistan are represented by a warm-up suit won by the donor (a promotional giveaway, as no athlete uniforms were issued). The 1968 Mexico City Games, best known for the silent yet powerful protest by two African American track athletes on the medal stand, are represented by a red blazer and Nike T-shirt worn by Payton Jordan, head coach of that track team. And of course there are objects from the athletes themselves. Collecting from lesser-known athletes allows us to focus on a more detailed story of a particular sport, or a certain Olympics that they are associated with. It can also reveal other pieces of sports history. Take the cloth number from lacrosse player Louis Nixdorff's uniform. It is from the 1928 Amsterdam Olympics and represents the first time lacrosse was played in the Olympics—as a demonstration sport, having only three teams represented. Nixdorff was a member of the Johns Hopkins lacrosse team, national champions that year, and chosen to represent the United States at the games. Many facets of history—Olympics, demonstration sports, lacrosse, and college sports—are represented by one object, used to tell many different stories. Collecting from better-known athletes is usually a given, especially if they're receptive to the idea of donating a piece of their Olympic history. The red, white, and blue leotard worn by Dominique Dawes as a member of the "Magnificent Seven," the gold medal gymnastics team of the 1996 Atlanta Games, was an obvious choice. Dawes was the first African American woman to win an individual Olympic medal in gymnastics and the first female gymnast to be a part of three Olympic medal-winning teams. The pink leotard from Russian immigrant Nastia Liukin was also a must-have. She wore this when she won the gold as the individual all-around gymnastics champion at the 2008 Beijing Games, becoming the first American gymnast to attempt a quadruple twist on floor exercise. NBA player Kobe Bryant's alternate uniform from his final Olympics—the 2012 London Games in which Team USA basketball won the gold—is another no-brainer. And of course we do have gold medals. One of our medals was won by Bobby Morrow at the 1956 Melbourne Games. Morrow won three gold medals during those games, including for the 100- and 200-meter races, becoming the first man to win two individual gold medals for the United States since Jesse Owens at the 1936 games. 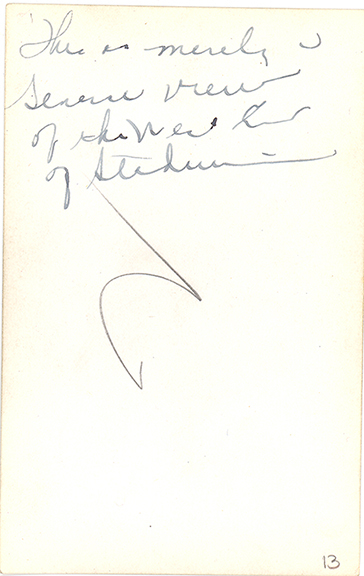 Another gold medal in our collection was won by Charles Jewtraw for the 500-meter speed-skating event in the 1924 Winter Olympics in Chamonix, France. It's currently on loan to the Lake Placid Winter Olympic Museum. We find that athletes do not like to part with their medals—which is totally understandable—but it never hurts to ask! So going forward in collecting objects from the 2016 Rio Games, the museum wants a well-rounded and accurate vision of these Olympic Games—of athletes who have gone beyond expectation and those who have fallen from grace, of memorable moments and achievements told through objects that we hope will stand the test of time. And Michael Phelps, the only object the museum has to represent your stellar career is a cereal box with your picture on it. So if you're listening—call me! Jane Rogers is an associate curator in the Division of Culture and the Arts. She has also blogged about the sport of wheelchair basketball.